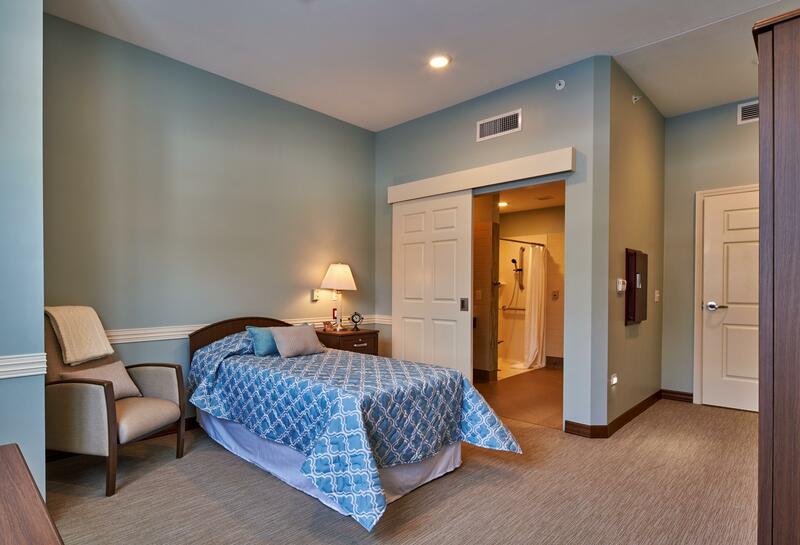 Finally, you can be confident you’ve found the memory care your loved one deserves. 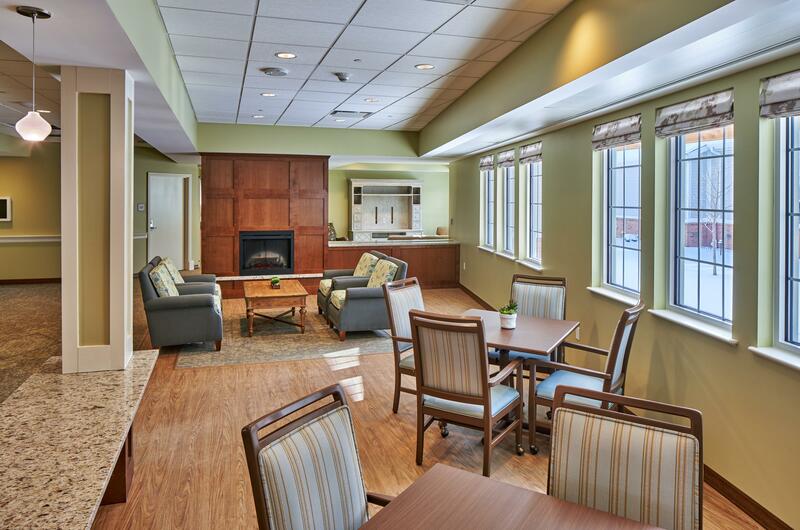 The Meadows at Canterbury-on-the-Lake brings together highly skilled, compassionate care and specialized programming in a state-of-the-art 24,000-sq.ft. secured community. Years of planning went into development of The Meadows, and we’re delighted to open our doors. 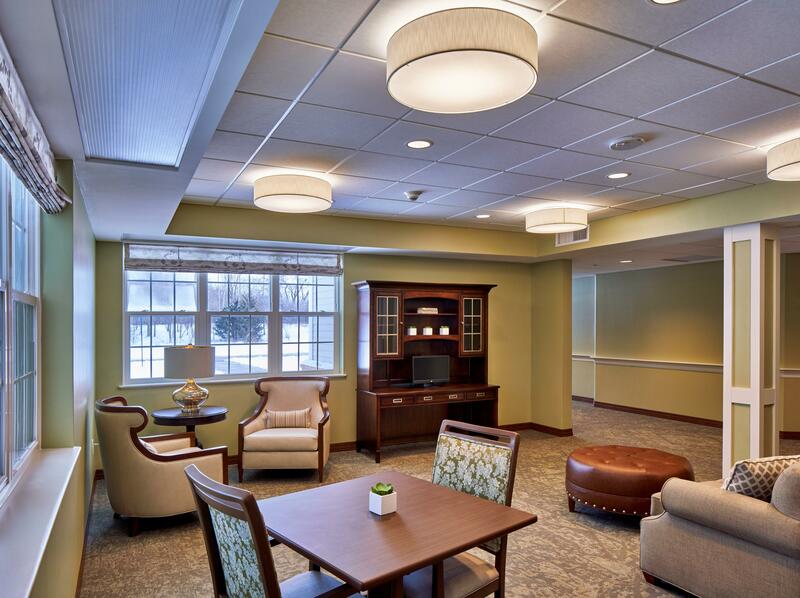 Every detail has been carefully designed to meet the unique needs of individuals with Alzheimer’s disease and other forms of dementia. 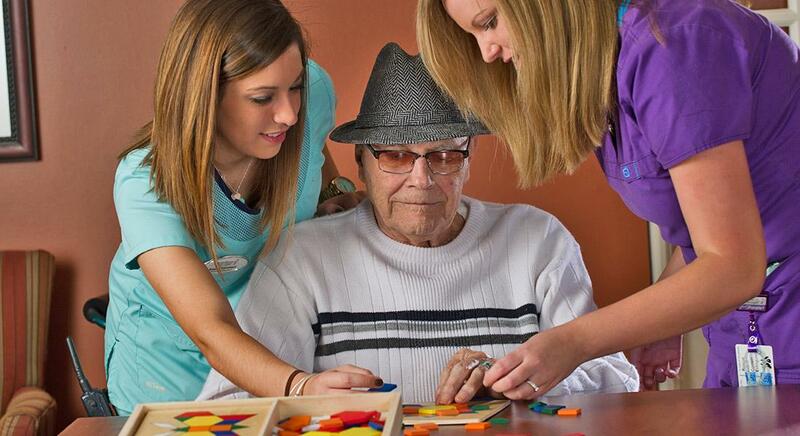 The result is a life-enriching environment, offering respect, dignity and quality of life for your loved one. 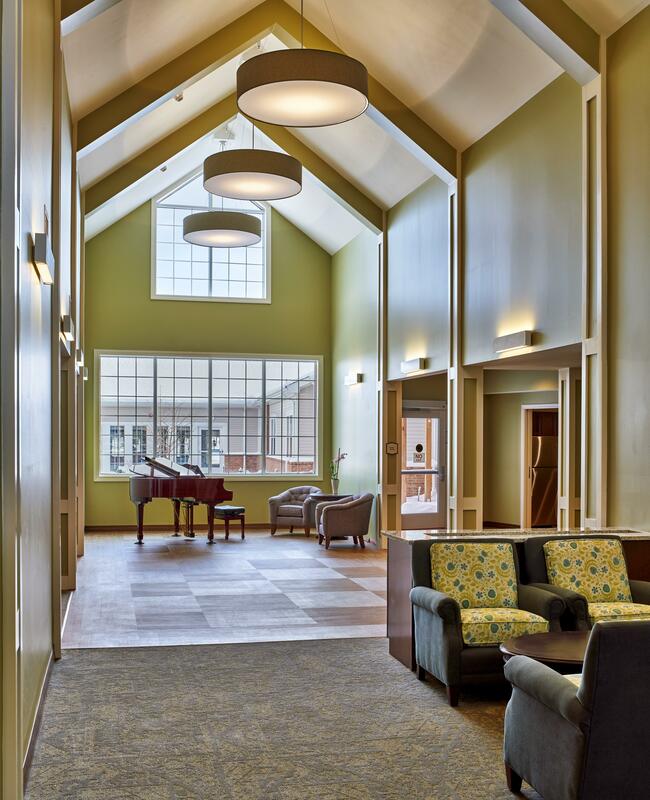 Since our entire community is connected under one roof, residents who live in other areas of Canterbury will be able to stay close to their loved one in memory care. 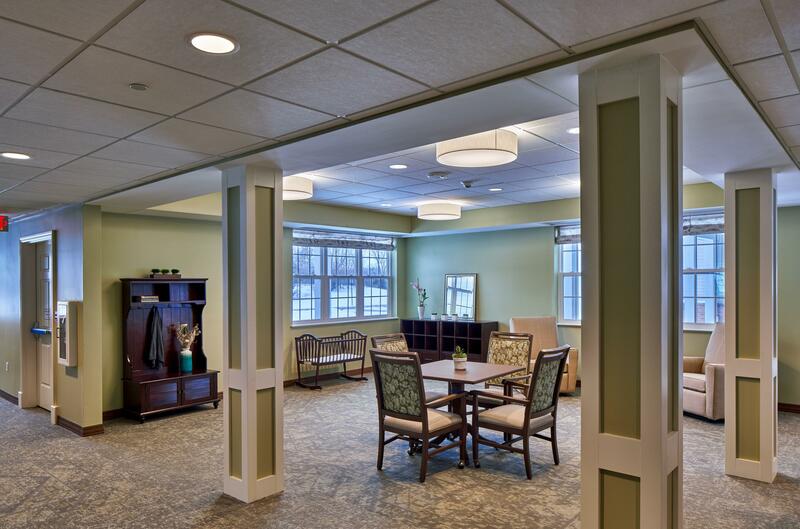 The heart and soul of memory care at The Meadows lies in Heartfelt CONNECTIONS – A Memory Care Program®. 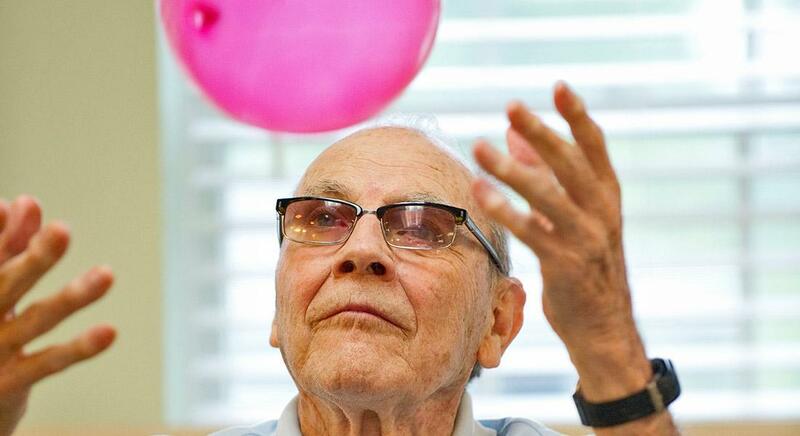 Founded on the belief that the skills that remain with Alzheimer’s disease and other forms of dementia are far more important than what is lost, we focus on each resident’s unique remaining abilities and strive to create little success stories each and every day. 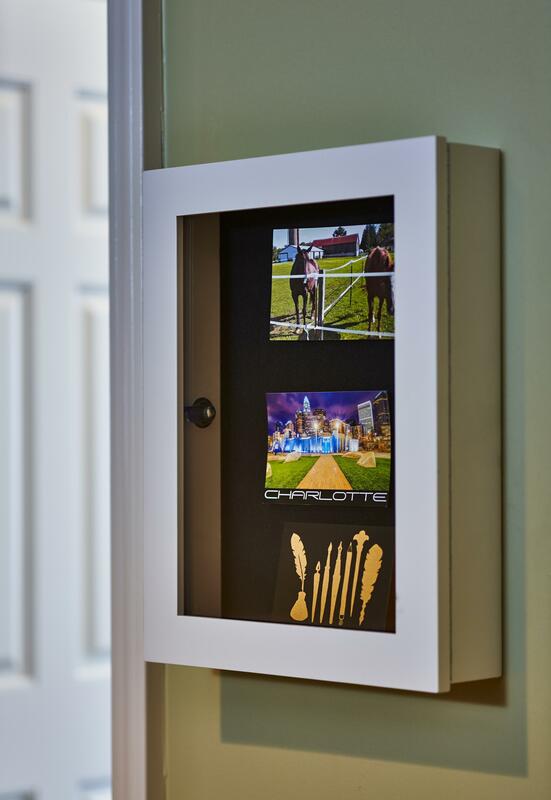 In The Meadows, we use customized reminiscence tools to capture a lasting legacy of details about your loved one’s family, friends, career and hobbies. We apply the insights gained from your loved one’s life story to individualize programming designed to promote well-being, prolong daily functioning and maintain personal satisfaction. 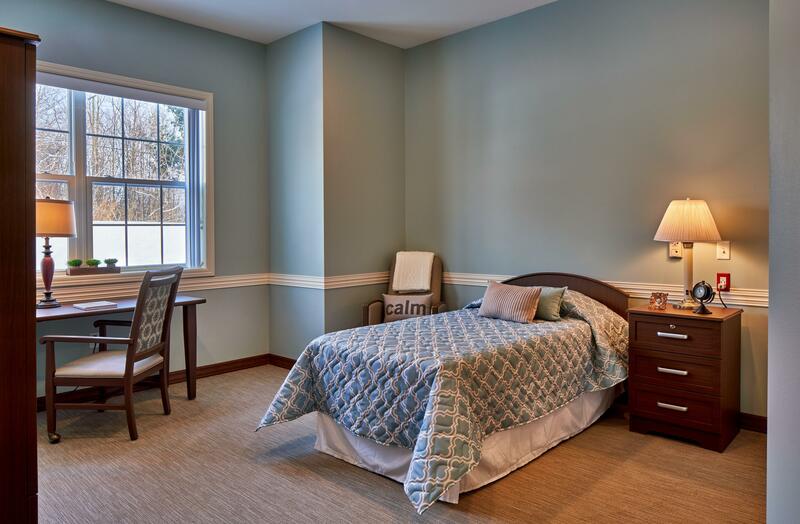 At The Meadows, residents enjoy their own furnished room with private bathroom and access to our large, secured courtyard, as well as a three-season porch facing our beautiful grounds. 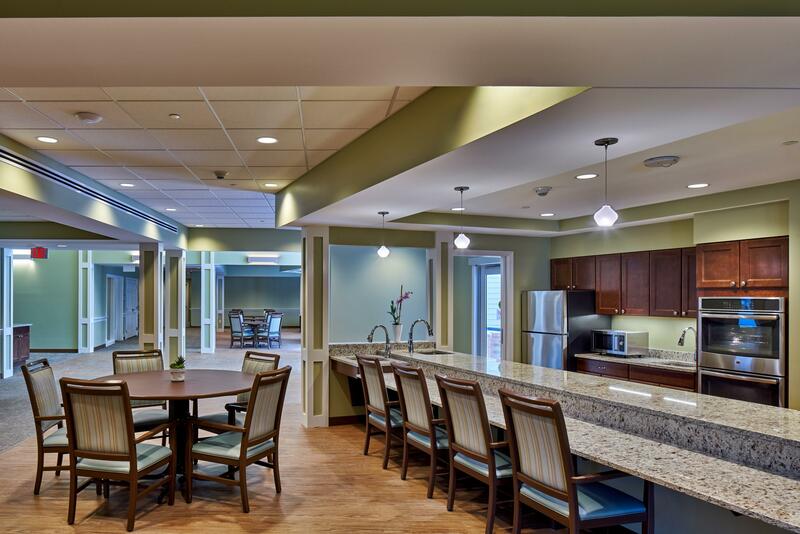 Each resident’s unique needs will be met in an environment that encourages the individual to live life to the fullest—with meaning and purpose. Residents will experience unique and varied opportunities for personal happiness and fulfillment. 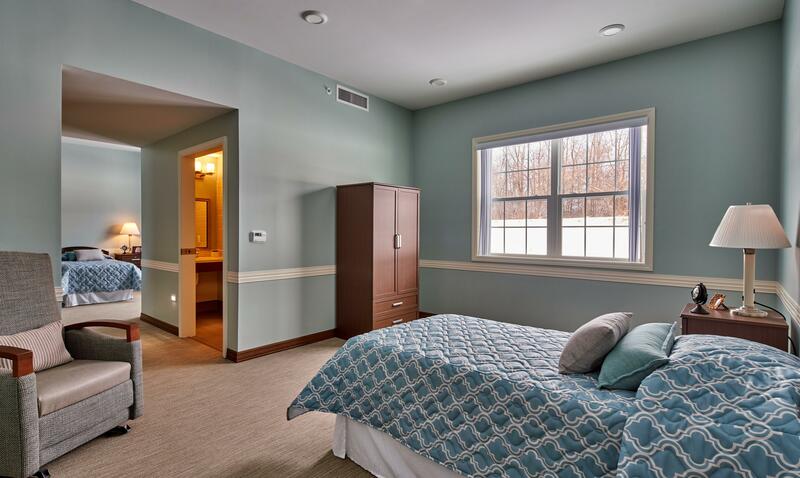 For questions regarding our new Memory Care, or to be added to our mailing list, please email Shannon Siburt or call her at 248.674.5303.